Building activity was worth almost $3.9 billion in the March 2015 quarter, up nearly 10 percent on the March 2014 quarter, Statistics New Zealand said today. "Overall, the value of both residential and non-residential building work increased," business indicators manager Neil Kelly said. "Residential building work increased mainly in Auckland and Canterbury, but non-residential building work chiefly increased in the South Island." After removing price changes and seasonal variations, the volume of residential building activity increased 2.6 percent in the March 2015 quarter. The trend for residential building activity has grown by two-thirds since the low point in the September 2011 quarter. However the current level is 6.7 percent lower than the series peak more than 10 years ago in the June 2004 quarter. The volume of all building activity rose by 1.0 percent, including a 1.2 percent fall in non-residential work." House insurance - are you under insured? "Nearly one in three Kiwi homes could be under-insured, putting thousands of homeowners at financial risk should their single biggest asset be destroyed. Based on international comparisons, the NZ Bankers' Association says up to 30 per cent of New Zealand homes are likely to lack sufficient cover should they need to be rebuilt after a "catastrophic event". Industry experts say the figure could be as high as 85 per cent, with many high-spec properties and Auckland character homes facing a potential shortfall of hundreds of thousands of dollars. ..... "
Should you have any queries or require further information on how to obtain a rebuild estimate for insurance purposes please CONTACT US and we will be happy to assist. The New Zealand Institute of Quantity Surveyors says there is no excuse for homeowners to receive property insurance valuations that vary widely. Registered quantity surveyor and president of the New Zealand Institute of Quantity Surveyors, Julian Mace, says the Institute has adopted a standardised approach to providing property insurance valuations and ensuring they are accurate. “We developed this in conjunction with the insurance industry specifically to ensure homeowners got accurate data and could rely on the insurance valuations provided by registered quantity surveyors,” he said. Mr Mace said the variations in many insurance valuations could be attributable to the people providing them not being skilled quantity surveyors whose speciality, training and qualifications are in construction measurement and assessing building costs. “A valuer is often giving you a market valuation, whereas a quantity surveyor looks at the actual cost of rebuilding and replacing all the external items such as pathways and fences on a property. Mr Mace said the difference is even more pronounced when comparing an architecturally designed house with one built by a group housing franchise. He said a second factor in the wildly varying insurance valuations is the allowance made for ‘escalation’. “That’s a complicated issue which requires a detailed knowledge and understanding of what drives building costs and how those costs might change over the period of the insurance or, more importantly, in the often lengthy period before a rebuild can take place. "a comparison between house insurance valuations has produced 'shocking' results, according to Consumer New Zealand. Two-thirds of people stick with valuations given by insurance companies but Consumer NZ's CEO Suzanne Chetwin says this puts homeowners "in danger of seriously undervaluing (their) property"." Default sums offered by the insurance companies are not based on full estimates that are now recommended be completed by registered Quantity Surveyors and the significant differences could leave a homeowner seriously out of pocket should an event arise. 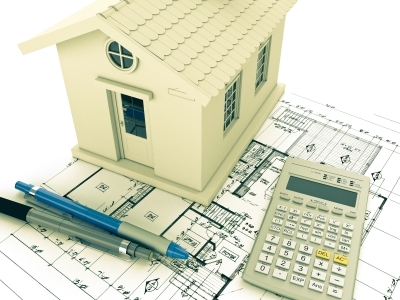 The New Zealand Institute of Quantity Surveyors has launched a residential reinstatement estimate form in response to high demand from homeowners seeking accurate rebuild costs by construction cost specialists in the face of new house insurance policies. Homeowners are now required to provide reinstatement cost estimates on their residential dwellings for the new capped-sum house insurance replacement policies the maximum the insurer will pay if the home needs to be repaired or rebuilt.